Sanibel Island Real Estate, Captiva Island Real Estate - How about a near-beach home on Captiva Island! How about a near-beach home on Captiva Island! This home is located in a Gulf-to-Bay community that includes deeded beach access, two tennis courts, large swimming pool, and bayside dockage! On top of that, this three bedroom, three bath with loft is one of the least expensive homes on Captiva Island! Located at 31 Urchin Court, (which is identified on Google mapping at 15124 Urchin Court) this home is a successful rental as well as perfect for personal use. 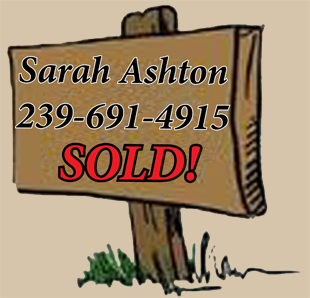 The home is being sold furnished and ready to move in! This three bedroom, three bathroom home has it all! Located in wonderful Sunset Captiva you can stroll to the Village or enjoy all the amenities you could wish for in an Island Get-A-Way! Deeded beach access, community pool and tennis, along with dockage on the bay make this the ideal island home. This property boasts an open floor plan with a kitchen, dining room and living room with fireplace. A spacious screened lanai off the living room provides the perfect place for outside dining and lounging. The first level has two bedrooms, two bathrooms and a laundry room. The upper level has the master suite with a king bed and private bathroom. The upper level also leads to a sun deck. This property is a successful rental property and is being sold furnished. Captiva Island offers so much to do! Check out my Captiva Island webpage! You can also watch my "Welcome To Captiva" video for more about Captiva Island. Captiva has miles and miles of beach, as well as quant shops and some of the best restaurants on either Sanibel Island or Captiva island! This world famous area is great for fun or for a successful rental property! Sunset Captiva also offers a large dock on Roosevelt Channel on the bay. This gives you easy access to the Gulf of Mexico, or the many back bay islands in the area. Cabbage Key, Useppa Island, Cayo Costa, North Captiva... your choices are many! This furnished home might be the perfect property for you and your family. Give me a call Today! Or contact me through my website contact form and I can answer any questions you might have about this terrific property! Our summer is in full swing and this is a great time to check out properties! The winter crowds are gone, the weather is great, and we have a full inventory of properties for you to see! Whether it's a condo, home, or vacant homesite - make this your year for Sanibel and Captiva Island!